The inaugural IF: Milton Keynes International Festival opened last Thursday with great success. The festival is a new initiative to promote Milton Keynes as a centre of excellence for arts and culture and with MK Gallery’s recent exhibitions (Marcus Coates and 2008's Turner Prize winner, Mark Leckey), this doesn’t come as a surprise. The city’s unique architectural landscape has been transformed by a line-up of international artists and performances, which will last until 25 July, so you still have time to visit. The festival is drawing on the vision of the city’s 1960s founders (designed with the grid-system most often found in North American cities), by making use of the landmarks, parks, boulevards, disused buildings and unusual locations of central Milton Keynes in an ambitious programme of performances and family-friendly events, both ticketed and free, which include new circus, theatre, dance, music, visual arts and sound installations. Over the 10 days several UK premieres will take place including the critically acclaimed inStallation - – a Swiss collective of aerial and high wire artists, dancers, musicians, horses and their expert handler who will showcase this breathtaking theatrical performance in a Big Top. Architects of Air will unveil their new luminarium Mirazozo, a large walk-in inflatable structure in which neon-like illuminated seams create visual illusions similar to those encountered in the geometric surface design of Islamic art and architecture. Producers of extraordinary live events Artichoke, will work their customary magic bringing a mysterious and fantastical new experience to the festival in another UK first. With IF: Milton Keynes International Festival produced by The Stables, one of the UK’s leading live music venues currently celebrating its 40th anniversary, there is a strong music and sound theme underpinning the festival. Sound artist and this year’s inaugural artist-in-residence, Janek Schaefer, will create Asleep at the wheel, his new commission for the festival. 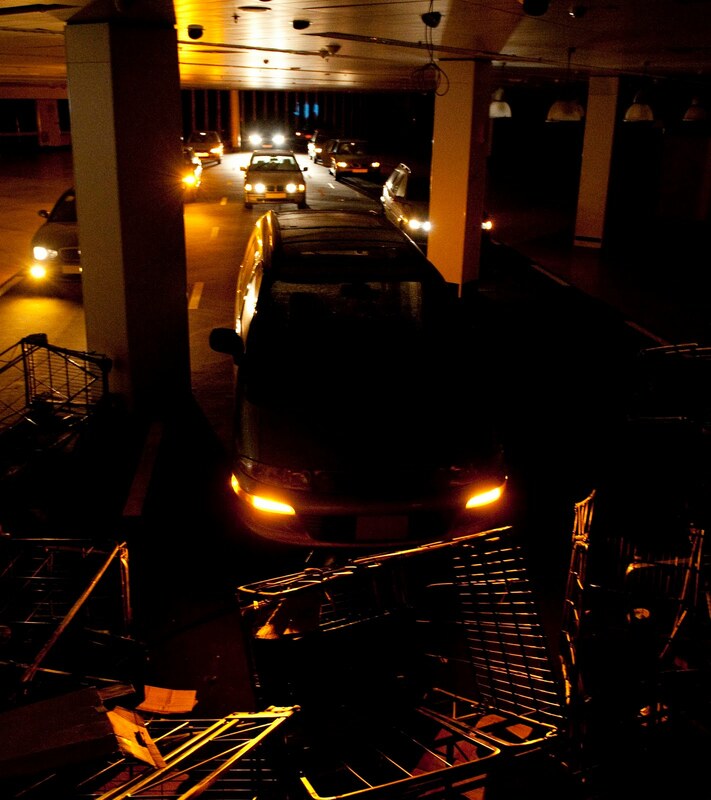 Constructed in the old Sainsbury’s superstore, the immersive soundscape will feature several upended cars on a fake tarmac road running through the disused structure. Belgian Spiegeltent will be at the heart of Festival Central in Campbell Park and home to a live music, comedy and cabaret programme, with highlights including Karbido’s electrifying audio visual spectacle The Table, Adrian Edmondson and his folk punk band The Bad Shepherds, festival favourites Bellowhead, and Perrier award winning comedian Rich Hall. Speaking with the Bill Gee, the festival’s Creative Producer, audiences can expect a world class event right at their doorstep. AES: Can you give me an idea about the concept of IF: Milton Keynes International Festival, basically, how did it all begin? What are the key themes for the Festival? BG: IF: Milton Keynes International Festival came about through a series of discussions between The Stables, MK Gallery and Arts Council England about the possibilities that Milton Keynes offered as an expanding city, - potentially with the 10th largest population in the UK by 2031 - to grow a new major cultural event. This would sit alongside all the music work and visual arts based work that currently are presented at the Stables and Gallery and the very strong local arts scene. The discussions in early 2009 led to the CEO of The Stables, Monica Ferguson, picking up the challenge and putting together a plan and a steering group of stakeholders from across the city to make the festival a reality. I was in discussions with Monica from late August 2009 and became the Creative Producer for the festival. Centrally behind the concept was the desire to make a festival that resonated through Central Milton Keynes and pulled attention to this planned and growing city. 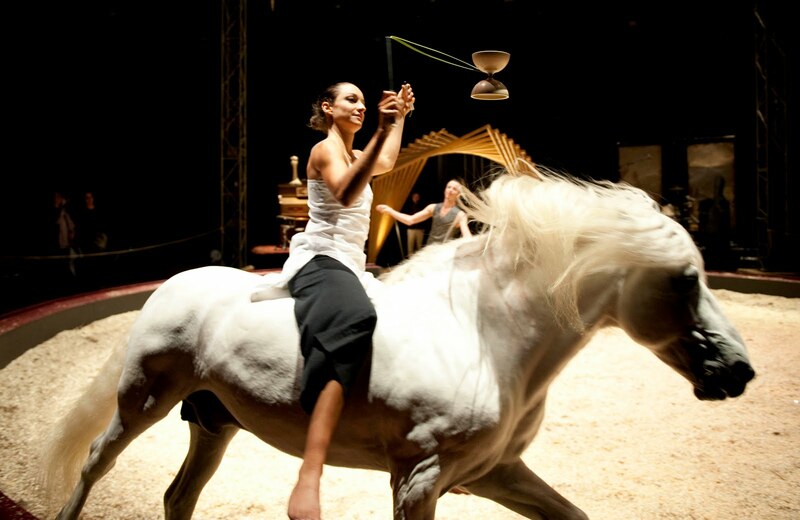 The fact that The Stables was leading the project meant that artistically we were looking for a sound and music focus to underpin the programme. AES: Milton Keynes is a unique location in the UK; can you tell me how the Festival fits in with the landscape, architecture and dynamics of the city? BG: It was an exploration of this planned landscape and city architecture that totally struck me as I walked and cycled up the boulevards. The central layout of Milton Keynes is based on a grid like many North American cities. The central route of this grid is Midsummer Boulevard; it’s called Midsummer because it is on the axis of where the sun rises and sets on Midsummer’s Day. The master planners in the 1960s had this visionary idea upon which to base a city for the city for the 21st century very much as you may have found Egyptian or Aztec’s older civilisations. This underlying vision of the city is something that I wanted to draw attention to, and as the work I curate is predominately in the public realm or in made locations it was something that could be done. So from when you walk out of the main railway station and see the inflated domes of Architects of Air’s huge sculptural structure Mirazozo, and going right up to Campbell Park where the beautiful Spiegeltent is, the sites for all events are either on or no more than 150M to either side of this line. AES: With festivals like Manchester International Festival and the Liverpool Biennial now part of the fabric of large-scale city-wide arts and culture events, how will IF: Milton Keynes International Festival add to British arts festivals? BG: IF: Milton Keynes allows for the opportunity to experiment with large scale programming in a way that hasn’t been seen in Milton Keynes previously. We are looking very much for a cross over of audiences between the more populist and less accessible events, thus we want the audience to go on their own creative journeys – I’d very much like to see the audience from the opening night large scale spectacular show – Full Circle venturing to download the MP3 tracks for Duncan Speakman’s Subtlemob and becoming themselves direct players in the work. AES: You have several new commissions and UK premieres, can you give me an idea of how you developed the programme, and how this adds to the festival’s identity? BG: The programme developed very much in response to identifying the different possible spaces in which the festival could present work in central Milton Keynes. One of the earliest meetings I went to was a discussion about the development of Central Milton Keynes, out of this one of the areas that was identified as lacking was that of there being a non-commercial city square – a gathering place for celebration or demonstration. I had seen the giant square carousel Le Manège Carré Sénart in the summer of 2009 when I had been at the Zomer van Antwerpen festival. The project had been commissioned by Sénart which is one of the new cities built around Paris in the 1970s. The commission was very much for it to be part of the physical and psychological city centre making. I hope in some way this may be repeated in Milton Keynes where we are closing a central car park for six weeks to house this special work by Francoise Delarozière. As well as enjoying the visual spectacle and the ride I hope people will also spend time in this space differently. AES: The idea of immersive productions in the urban playground is becoming an increasing popular way for audiences to experience performance; can you tell me about Janek Schaefer as Artist in Residence contribution to the festival and some of the other immersive events? BG: With the theme of sound and music and the desire to work in unusual spaces, identifying Janek Schaefer as the inaugural artist-in-residence was a choice made from having experienced Janek’s work previously. However, it wasn’t until the first meting with him that he told me that he had grown up in Milton Keynes between the ages of 5 to 15 and also attended the summer music camps organised by The Stables. The commission brief with Janek was to respond in some way to the city. Through discussion with his project producer Simon Chatterton, the car was identified. Many people know Milton Keynes as a city of roundabouts, because its extensive road system was constructed on the grid pattern and it is an amazingly easy city to travel around by car. We looked at a range of spaces from car parks to areas under flyovers and a few days before the end of 2009 we gained access to the vast empty former Sainsbury’s superstore. This enormous space - 200m long by 70m wide - begged out for a transformation. Whilst I negotiated with Sainsbury’s for use of the space Janek’s thoughts of the car took him to consider the issues of Peak Oil and lack of sustainability of the oil based economy, hence the name of the work, Asleep at the wheel…. The ghost road of cars seemingly hurtling to nowhere that cuts across the vast space creates one large immersive impression for the participant, but it is the invitation to open the doors of the cars, climb into the back seats and listen to the 10 individual sound worlds that really hooks the participant into contemplation of where the consumption driven world is heading. World class percussionist Evelyn Glennie and New York based experimental guitarist Fred Frith collaborated with UK based VJ Little Lumo in a late-night immersive improvised concert in Milton Keynes Central Church on the festival’s opening night, again bringing an audience to a different venue for a very different type of concert and extending their comprehension of the city. AES: The festival is cross-disciplinary and interdisciplinary; can you tell me about the decision to include such a vast array of art forms (dance, music, live art, sound art, comedy, etc) in 10 days? BG: There is a vast array of art forms across the festival. What I hope knits them together is their presentation in the public realm - outdoor, found or temporary venues - and the desire of contemporary audiences to cross between arts and genres. 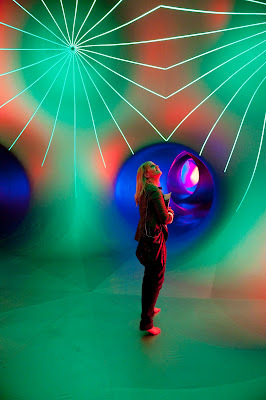 I want to encourage the journeying between different events and genres, from the intense theatrical musicality of Karbido’s Table to the beautiful immersive quality of space, light and colour in Architects of Air’s Mirazozo. AES: I believe that the cross-art aspect of the festival engages within the context of contemporary arts today, what was it like to curate such a complex range of events? BG: I have been very lucky to be able to work with Alison Young, Head of Programming at The Stables, as she has taken a lead on the programming of the Spiegeltent with its own diversity of music, comedy and performance. This has enabled me to work on the matrix of other events and how they fit together. We have invested resources in a number of core projects that run for anything between 7 and the whole 10 days of the festival, this again being to allow the elusive word of mouth, Twitter and Facebook to build audiences for the work. AES: What’s the one event not to miss and why? BG: Picking out one event is an almost impossible task and one which is likely to get me into a huge amount of discussion, but I would have to say that for me seeing the work of the inStallation collective last summer in Lausanne was one of the most satisfying and complete theatrical experiences of the past few years for me. The interweaving of the different skills and artistry of the collective is compelling. Despite the work being a series of connecting scenes it has a totality which is akin to a composed through piece of music. AES: Finally, what would you like audiences to take away from the festival? BG: I would like the audience - and that’s a large and very diverse audience - to experience something unlike they have experienced before and by this to be moved to joy, or thought, or change or action. I would like the audience to take away a hunger for more of what they have experienced so we can look to do it all again in 2012. IF: Milton Keynes International Festival runs until 25 July 2010, for more information and to purchase tickets visit www.ifmiltonkeynes.org or call the Box Office on 01908 280800.